With his deeper-than-deep grooves, blistering solos, and out-there creativity, Pete Ray Biggin plays with such fiery passion that he has quickly earned himself a reputation as one of the UK’s hottest players. This has led him to playing with Chaka Khan, Robbie Williams, Lily Allen, The Specials, Whitney Houston, Beverley Knight, Amy Winehouse, Mark Ronson, Carlene Anderson, Estelle, Adele, Taio Cruz, and one of his major inspirations, Incognito. Though he can be fast, funky and furious, Pete also has a great sense of dynamics, with such albums as Marvin Gaye’s “What’s Going On,” Tower of Power’s self-titled fourth release, Sting’s “Ten Summoner’s Tales,” Stevie Wonder’s “Innervision,” plus “Off the Wall” and “Thriller” by Michael Jackson and “Legend” by Bob Marley among his favorites, you know what’s influencing his musical taste… He may be young, but Pete Ray Biggin definitely knows his stuff. 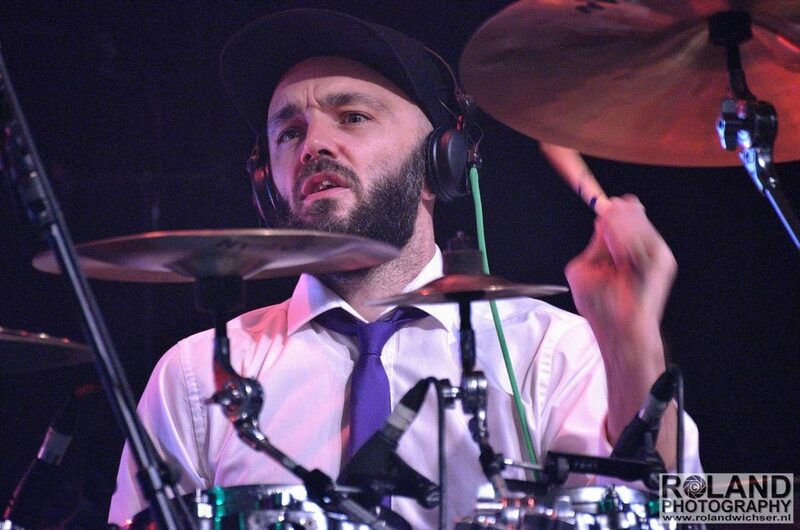 Originating from Sheffield but living in London since 2002, Pete started drumming when he was four. He was self-taught and influenced by his drumming dad Alan, up to the point where his dad took Pete to Toni Cannelli at Drummers Alliance in Sheffield, who Pete then went on to study with for a couple of years. After this, Pete went on to win the Drummers Alliance Beat 93 – Under 16s national drumming competition, which then led him to be the first UK Sabian endorsee at 13 years old. His inspiration came from the playing of Mark King (bassist w/Level 42 also plays drums) as well as the big funk, fusion and session names. 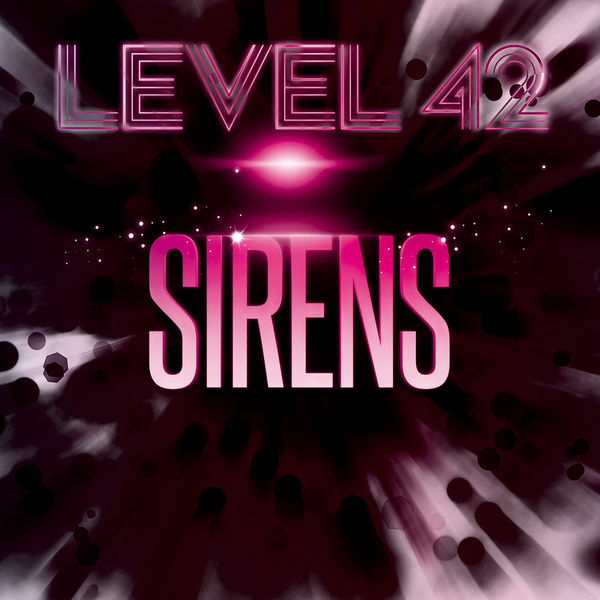 Now, he is sitting in the drum chair with Level 42. By age fifteen, Pete was playing clubs, where he feels he really got his music education. Six years later he was touring Europe and gigging, writing and recording everything from jazz and soul to pop and rock. 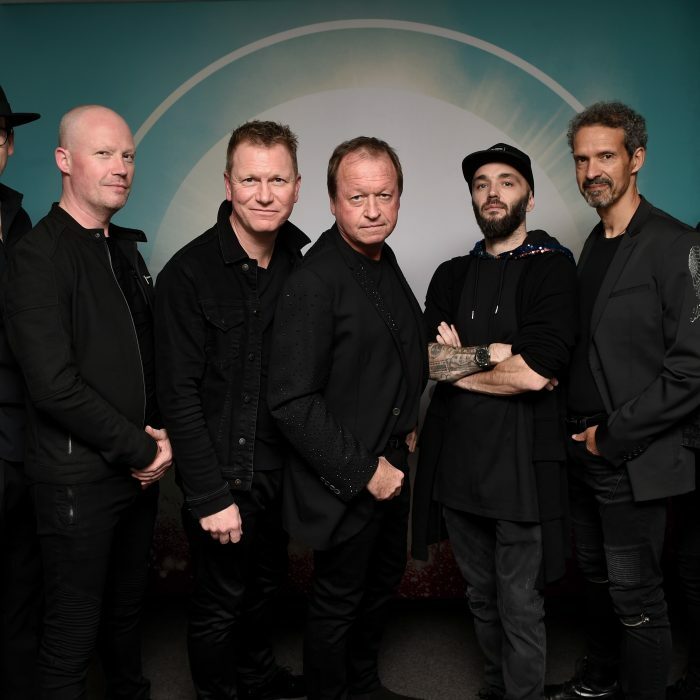 Now recording and touring the world with Incognito, Level 42 and his gigging own group, the funky PB Underground, Pete would love to play with Sting, Tower of Power and Herbie Hancock. “Funk is my main vibe, but soul, hip-hop, latin, jazz, rock… it’s all good with me.” Which is likely why his dream band would include Hancock, Prince, the Brecker Brothers, Giovanni Hidalgo, Erykah Badu, Stevie Wonder and other musically diverse and soulful players. 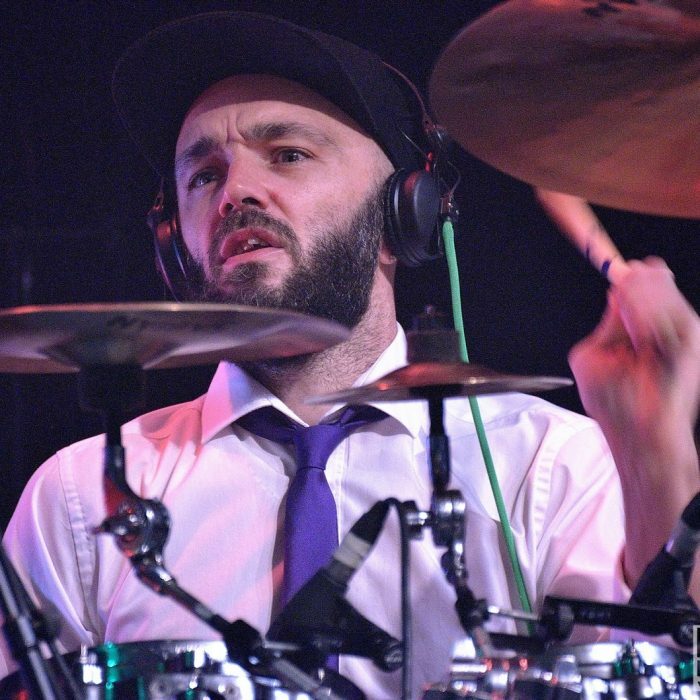 And while he describes his drumming as “pushy, groovy, edgy and energetic,” there is an undeniably moving power to Pete’s playing, as was evident when he wowed the audience at London’s Drummer Live event. On that occasion it was like Billy Cobham, Keith Moon, David Garibaldi, Richie Hayward, Bernard Purdie and a number of other great players were being channelled through this Sheffield lad who was playing his heart out. Stunning stuff, for sure. But then that’s what Pete Ray Biggin is really all about. High energy heart and soul drumming… with a great sense of musicality and a really big groove.